This is a light, bright, recently refurbished hall seating approximately 80. The kitchen and toilets (including a disabled facility) were completely replaced in early 2017. The kitchen now directly serves the Jubilee Hall through a hatch. 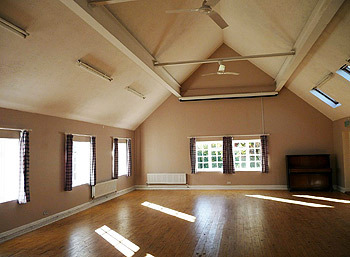 The Hall also offers a drop down projector screen, and effective central heating. Good parking facilities. 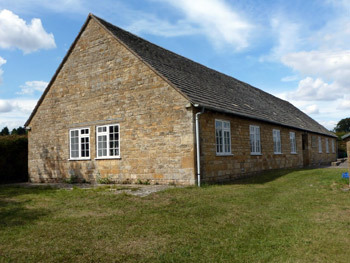 The Jubilee Hall is situated a short walk from the village centre, has plenty of car parking available nearby, and is ideal for workshops, parties, meetings and events of all sorts. It is available at very competitive rates, with discount for regular users.